Recent filings confirm that SpaceX has begun the process of applying for permits and licenses that will eventually allow the company to legally conduct hop and flight tests of a BFR spaceship prototype at its prospective South Texas development facilities. While the FAA’s Office of Commercial Space Transportation does not provide public access to pending applications, the FCC’s Experimental Licensing System published a summary of SpaceX’s request, briefly describing a series tests to be performed with a “Vertical Takeoff, Vertical Landing (VTVL) vehicle” in the near future. 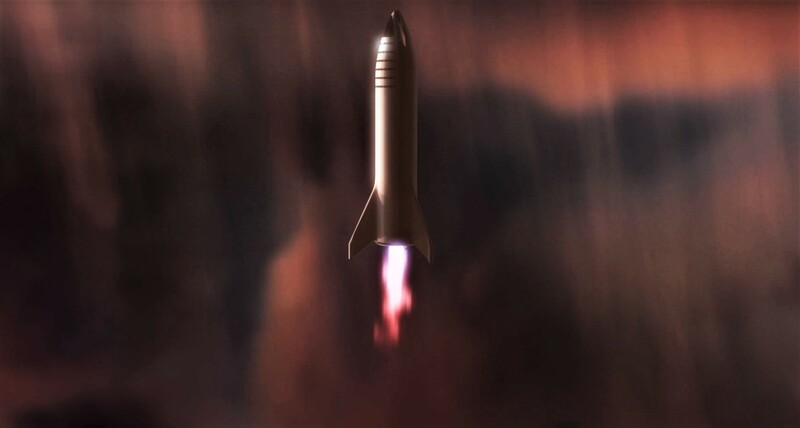 While official plans to perform Grasshopper-style hop tests with a full-scale prototype of the BFR’s upper stage – known as BFS (Big Falcon Spaceship) – have been public knowledge in some form for over a year, SpaceX’s short description of the initially planned hop test activities offers a much more accurate view of the actual scope of those tests. Most notably, SpaceX describes a campaign “divided into low‐altitude and higher‐altitude tests” that range from a ceiling of 500m (~1650 ft) to 5000m (~16,500 ft) and an overall length of ~100 to 360 seconds (1.5 to 6 minutes). Tireless local (and not so local) observers continue to cover SpaceX’s and the company’s contractors’ day-to-day activities in Boca Chica, Texas and have recently played witness to the erection of part of a massive tent at an adjacent lot, appearing to be about the same scale as the tent SpaceX technicians and engineers are currently building the first prototype spaceship inside. They might not have the appeal of a big, shiny, expensive factory, but tents are extremely convenient, flexible, scalable, and affordable, lending themselves perfectly to long-term but inherently temporary projects like SpaceX’s BFR prototype development. Meanwhile, roughly 2.5 km East of SpaceX’s newly raised tent, antennas, and propellant storage tanks, the company has begun in earnest the removal and repurposing of several hundred thousand tons of soil that have been sat atop a prospective launch pad and hangar site for 3+ years. The task of using its sheer mass and the force of gravity to help settle and strengthen the otherwise marshy, sandy ground now complete, the massive dirt pile can be repurposed to support the construction of causeways, access roads, landing pads, and more. By all appearances, SpaceX has begun to do just that and the dirt pile is rapidly shrinking as it is redistributed across the company’s local property. Once complete, the area will be transformed from flat marshland into a group of facilities capable of supporting critical flight tests of BFR’s spaceship/upper-stage, if not eventual orbital launches of integrated boosters and spaceships. According to recent public statements from CEO Elon Musk and COO Gwynne Shotwell, SpaceX is targeting the start of those hop tests as early as late-2019.